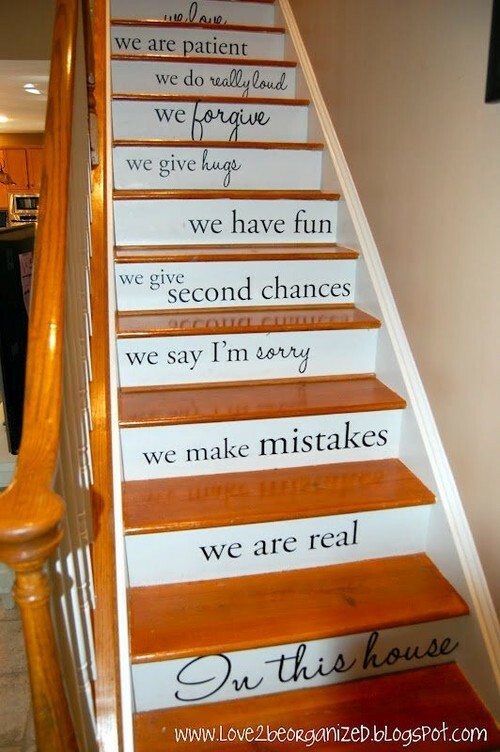 In this house we are real, we make mistakes, we say I’m sorry, we give second chances, we have fun, we give hugs, we forgive, we do really loud, we are patient, we love. This is an inspiring and powerful message to post throughout our homes. It would be just as effective as a large wall hanging and I have a perfect place for it.